MP for Peterborough Fiona Onasanya has pleaded with voters to keep her in a job after finally breaking her silence on her conviction for perverting the course of justice. In a four minute 28 second video published on YouTube the independent MP continued to plead her innocence despite being found unanimously guilty by a jury at the Old Bailey in December. She also took aim at both the media coverage of her case and the decision to jail her in a Category A prison where the most serious offenders are held. 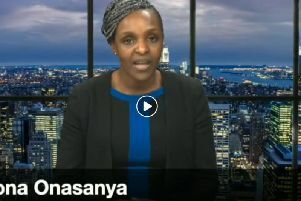 Ms Onasanya served four weeks of a three month sentence inside HMP Bronzefield in Surrey before on her release losing an appeal against her conviction. However, her video states she will "continue to pursue avenues to clear my name". Her first public comments since her conviction come a day before her constituents have the chance to kick her out of office through a Recall Petition, which automatically opened up due to her custodial sentence. If 10 per cent of people living in her constituency sign it within a six week period, she will lose her seat and a by-election will be triggered. Appealing to her constituents Ms Onasanya, who never refers to the Recall Petition by name, said: "I will continue to be your voice for change in Parliament for as long as you wish me to do so." During her trial Ms Onasanya's solicitor claimed that it was her brother who had filled out the form. Since being convicted Ms Onasanya, who was elected in 2017, has been expelled by the Labour Party and criticised for missing crucial Brexit votes in the House of Commons. She has also refused all requests for interviews about her trial. Addressing her conviction for the first time, the trained solicitor said she was now legally able to give her side of the story, although her video did not go into any detail on evidence proving her innocence. She said: "Throughout the last few months you would have seen news articles, television articles and also read on social media about my case. And all of this time I have not been able to share my side. But just like a coin has two sides, so does a story. And this is my time now to share with you, without media spin, what my side of the story is. "From the outset I have maintained my innocence. I have not perverted the course of justice. I have not colluded with my brother. My defence was never put across in the media. At all times they always put forward the prosecution's case. "People have asked for my resignation, but what would you do if you knew you were innocent? Would you sit back and accept it? Would you accept the verdict knowing in your heart of hearts that you are innocent? Or would you fight to clear your name?" She added: "Do you think, as your Member of Parliament, I would risk everything, and I mean everything, for the sake of points and a fine? Could it be that I am innocent and have to clear my name because this is not correct what has happened?" On the video Ms Onasanya said within 500 days of being elected she had spoken 95 times in the House of Commons, looked at 1,669 individual cases, spoken with more than 130 organisations and community groups and held more than 200 one-to-one private consultations. 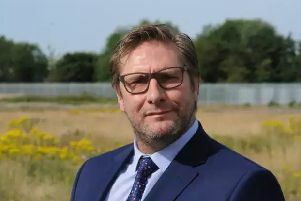 Appealing to her constituents to let her continue as their "voice for change" so she can lobby the government and fight for social justice, the MP said: "I would ask you, if you still wish for me to represent you, to bear this in mind when you are asked to think about me. The media has shown you one side, I am telling you I am innocent and will continue to pursue avenues to clear my name. "If you wish for me to continue as your independent Member of Parliament I am willing and able to do so. But the choice is now in your hands. "I would like to say I have a deep gratitude to all who have offered prayers, support and love during this difficult period of time over the past few months, and also say to you all - thank you."